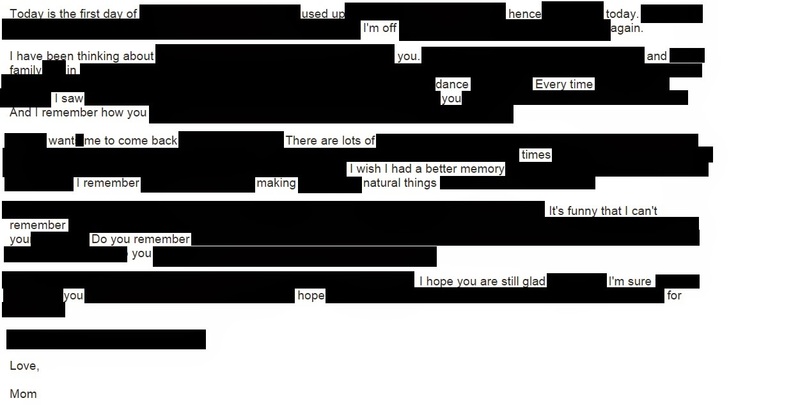 I had this bright idea today to do an erasure poem where I find a particularly long and painful email from my birth mother in my email archives and turn it into something beautiful instead. Turns out I've deleted all the old painful ones. So, probably, thanks Past Self. I found one kinda neutral one and one that was only a little hurty, so I tried those instead.